You don’t need a fax machine to fax Word document. 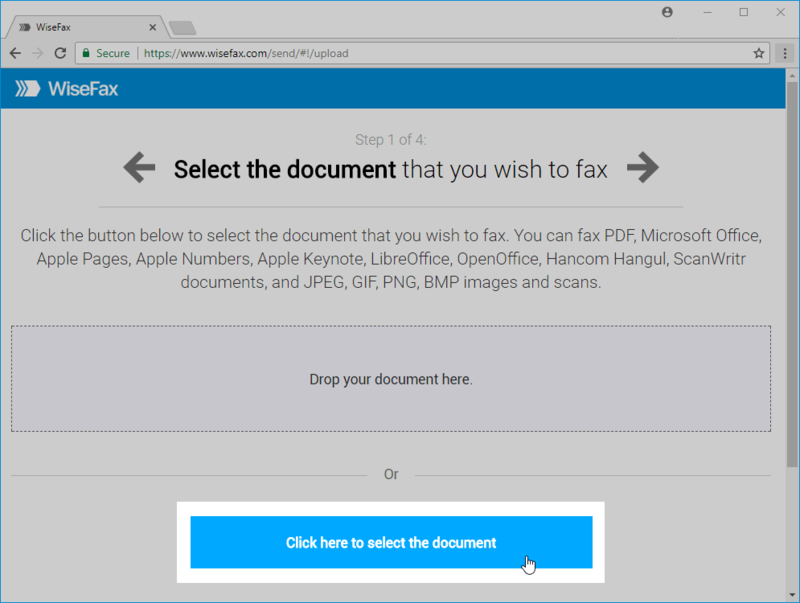 Here, we will explain how you can quickly, easily and securely fax Microsoft Word document from any computer that is connected to the internet. 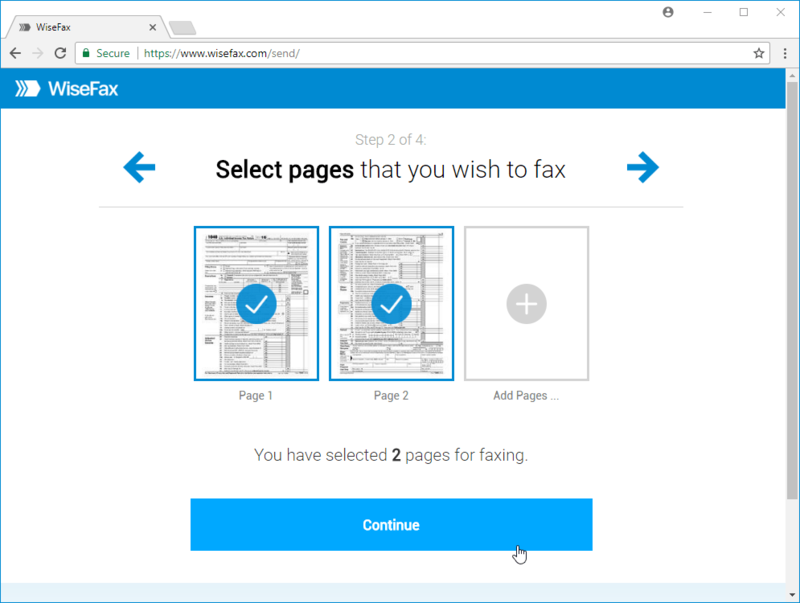 WiseFax is a simple to use website that allows you to quickly, easily and securely fax Microsoft Word document. 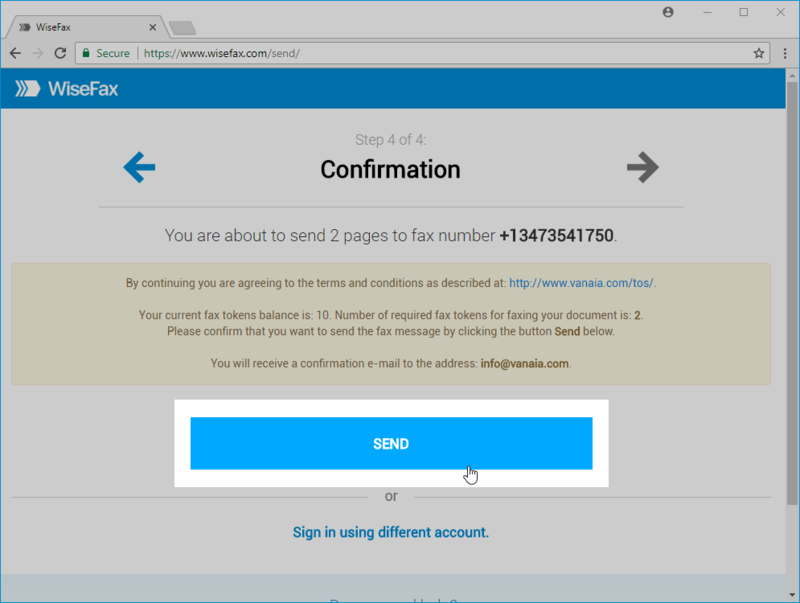 Once you have your Microsoft Word document ready for faxing, visit the WiseFax website (link: https://www.wisefax.com/send/). Click the Click here to select document button. 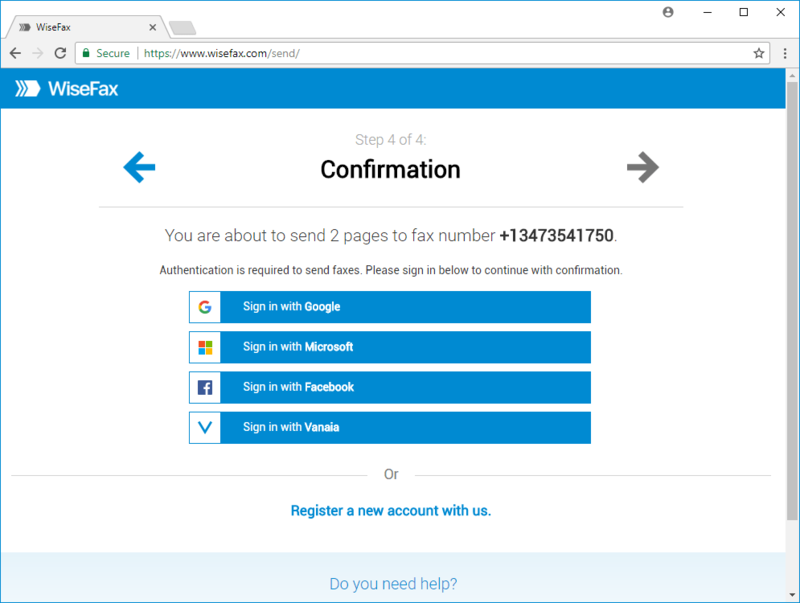 A new window will pop-up where you will be able to select the Microsoft Word document that you want to fax. Select pages that you wish to fax. If you wish to add additional pages from another Word document, then click on the Add Pages and select the Word document that you wish to add. Select an account that you wish to use to fax your Microsoft Word document. You can sign in with your Google, Microsoft Live, Facebook or Vanaia account. 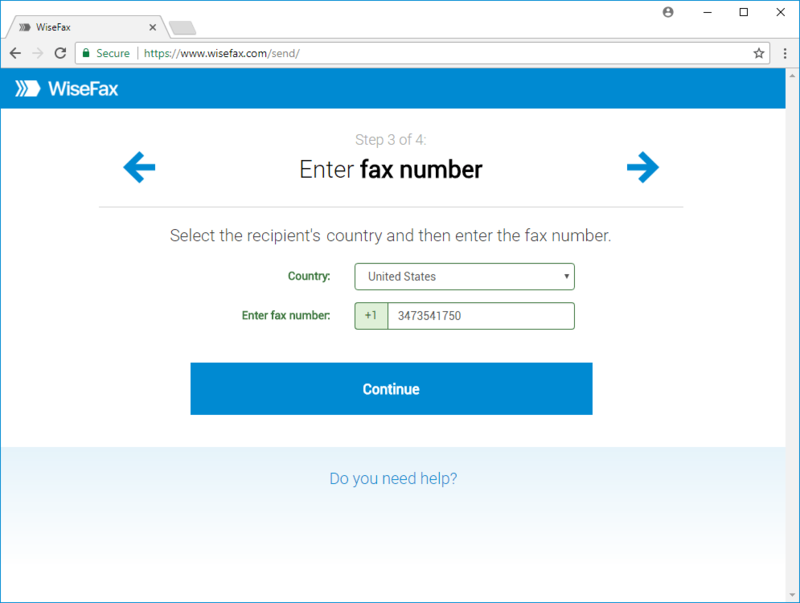 If for some reason WiseFax will be unable to fax your Word document (for example if the recipient’s line will be temporarily unreachable or busy), then you will also receive an e-mail notification from WiseFax. You will then be able to fax your document once again later without purchasing additional fax tokens.